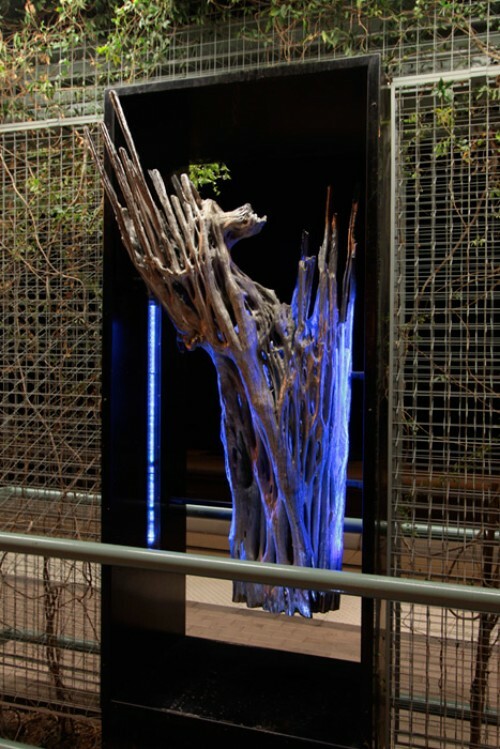 Designed for the Metro Valley Rail, a saguaro cactus skeleton forms the basis for this sculpture emerging from its black frame. 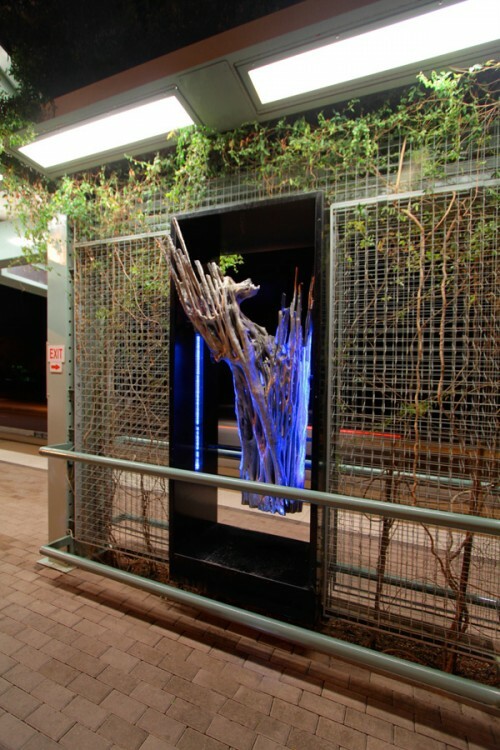 The cactus (a cliché of the Sonoran desert) is chromed (a fetishized symbol of the AZ car culture) and placed inside a black display box located at the light rail stop in the center of the roadway. At night the cactus is illuminated referencing neon used under cars. 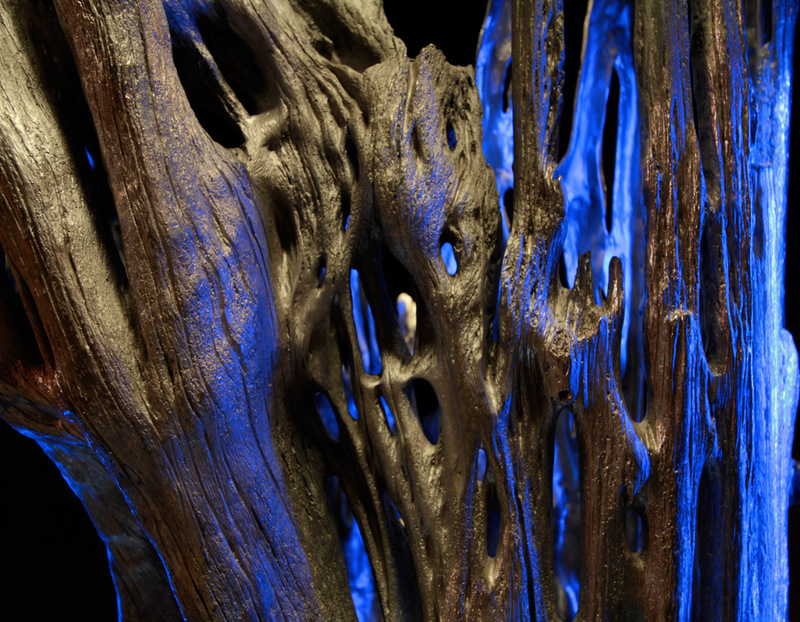 Detail image of chromed cast bronze.